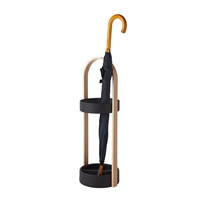 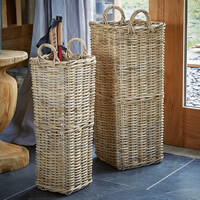 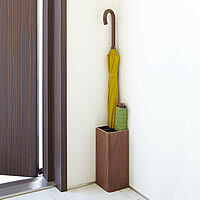 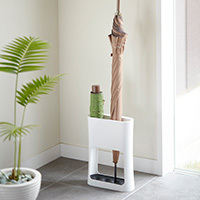 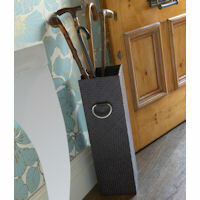 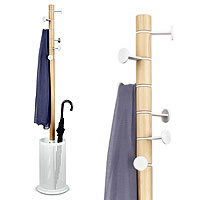 We have often been asked but have never been able to find an umbrella stand that's suitable for storing both long gents/golfing umbrellas and shorter handbag sized umbrellas....until now! 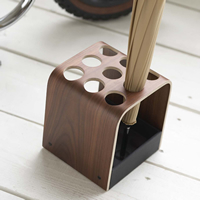 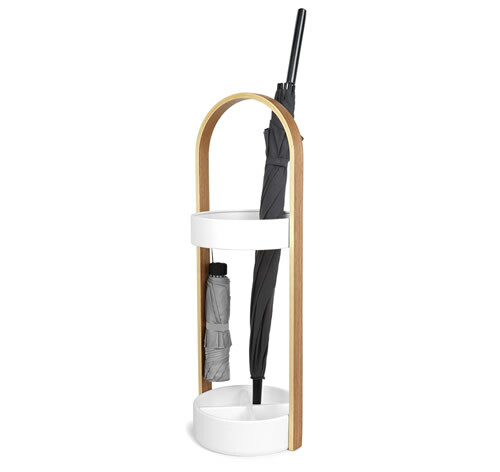 Our Jordan Murphy designed Hub umbrella stand has been stylishly finished with an ashwood handle and a water resistant resin base. 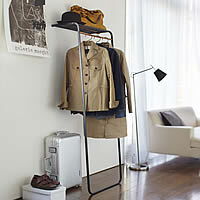 Uniquely (as far as our research suggests!) 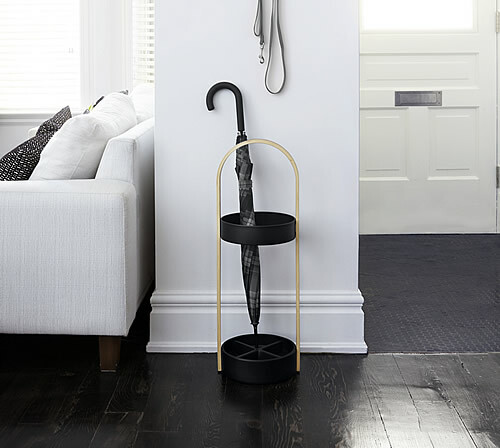 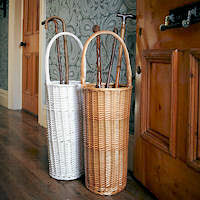 the stand can accommodate both golfing umbrellas and shorter ladies handbag-type umbrellas without having to reach around in the depths to retrieve them thanks to two hooks on the upper metal rim.